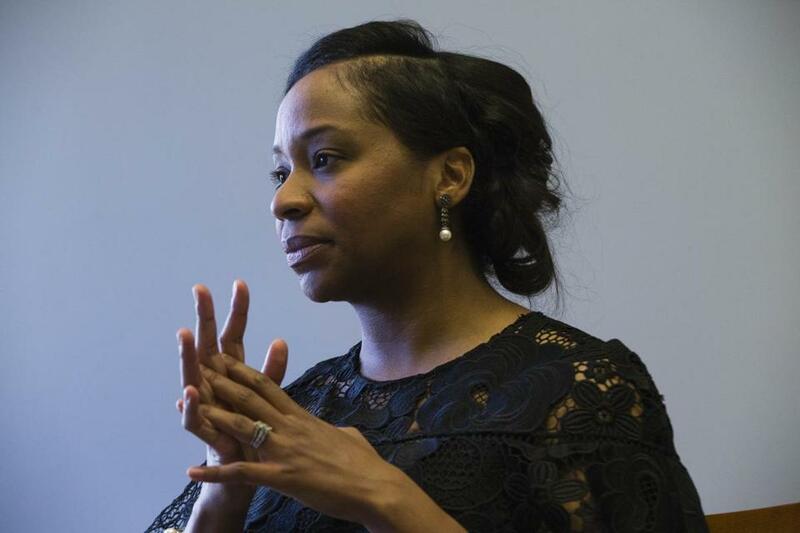 Boston City Council President Andrea Campbell called for an independent study of the city’s use of the civil service system. Boston City Council President Andrea Campbell called for overhauling and possibly eliminating the city’s use of the civil service system to fill public safety jobs, saying the process thwarts the hiring of women and people of color in police and fire departments. The recommendation was one of 10 that Campbell laid out Wednesday, when the council returned for its first meeting of the year, to address what she described as the city’s shortcomings in diversifying its police and fire departments. It follows the release of a city-commissioned report this week that found a male-dominated culture in the Fire Department that has left women uncomfortable, and in several cases led to alleged discrimination and harassment. Campbell and several city councilors also criticized the city-commissioned report, saying it recycled old recommendations and failed to adequately address systemic issues. “I know that today there was some conversation about this happened before in the past and nothing has been done. That was a different era and a different elected body, a different City Council, a different mayor’s office, a different commissioner. And I look forward to working with every one of you . . . to address the concerns of female firefighters,” he said. Walsh has pledged to carry out all of the report’s 21 recommendations, including seeking state approval for a fire cadet program that would circumvent some civil service restrictions. The civil service system, adopted in the 1800s, was originally intended to thwart patronage in government hiring. But critics say it prioritizes certain candidates, such as military veterans, with no regard for other demographics, leading to a wide pool of white male candidates. Campbell called for an independent study of the city’s use of the civil service system. That review could recommend changes, including whether the city should abandon the system, which she said the city can do without state approval. She also suggested Boston should change the amount of time someone has to live in the city before being eligible for a job, to give residents preference over outside candidates. The city should devote more resources to recruitment, better define its standards of diversity, she said, and publicize the demographics of police and fire departments. Many of these potential changes can be done without state approval, Campbell said. Her proposals would apply to the fire and police departments as well as Boston Emergency Medical Services. The city’s public safety departments should reflect the overall demographics of the city, Campbell said. While white residents make up 46 percent of the city population, they represent 67 percent of Boston police officers, 68 percent of EMS workers, and 72 percent of firefighters. Women make up half of the city’s population, but are only 32 percent of EMS workers, 13 percent of police officers, and 1 percent of firefighters. There are only 16 women on the 1,500-person force, and only one has achieved the rank of captain. Richard Paris, the head of the firefighters’ union, could not be reached Wednesday for comment on Campbell’s proposal. Michael Levenson of the Globe staff contributed to this report. Milton Valencia can be reached at Milton.Valencia@globe.com. Follow him on Twitter @MiltonValencia.